Tuesday, April 30th at the Indiana Roof Ballroom. Doors open at 5:30 p.m. Dinner will be served at 6:30pm. Program to follow. Keynote speaker is IndyCar Driver Ed Carpenter. 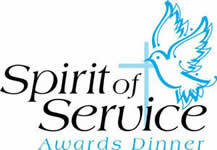 The Spirit of Service Awards Dinner and Benefit recognizes individuals who, through the giving of their time, talents and treasures as a volunteer, have made significant contributions to our community and reflect high ethical standards consistent with the mission and values of Catholic Charities Indianapolis. 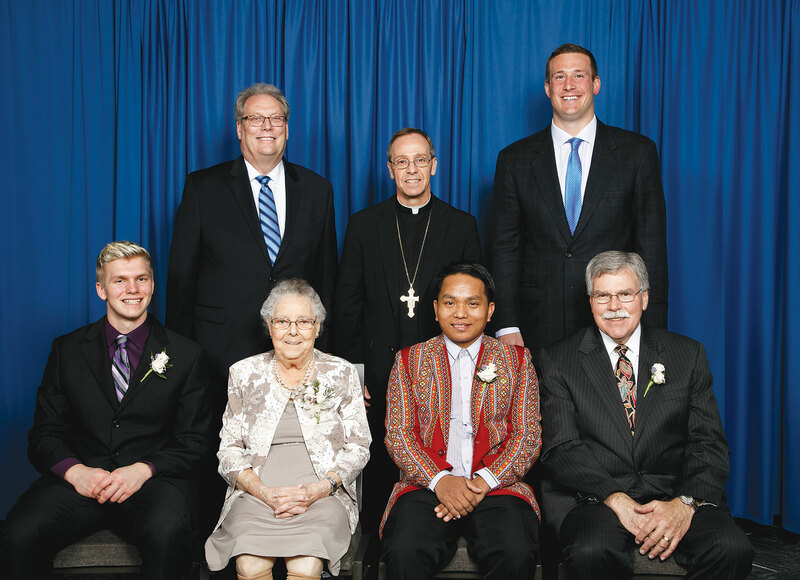 2018 Spirit of Service Honorees: Seated from left, Michael Isakson, Rita Kriech, Paul Hnin and Dr. Michael Patchner. 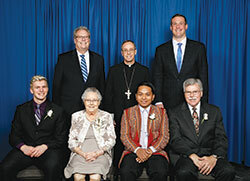 Also Pictured: Standing, from left, are David Bethuram, Archbishop Charles C. Thompson and keynote speaker Joe Reitz.